We can all tick off the list of things we know everyone and their grandmother have always wanted to see – the stunning Taj Mahal, the breathtaking Great Wall of China or Uluru in the depths of the deserts of Australia. While fantastic, there’s something about going somewhere unknown that none of your friends or family have experienced. The world has some genuinely jaw-dropping places – and we’ve compiled our favourites (which will hopefuly be yours soon, too). It's annoying when people say, 'You have to see it to truly appreciate it.' But in this case, cliches aside, it's true. 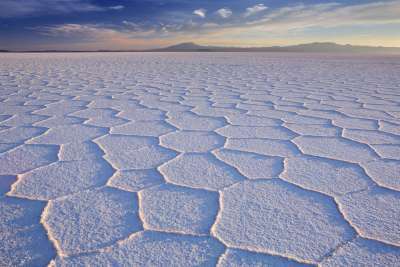 The Salt Flats, or Salar de Uyuni, in Bolivia might as well be a shape-shifting, boundary-lifting Alice in Wonderland type of landscape. The ethereal salt flats are so flat that mind-blowing, perspective-crashing photographs can be taken. They're brilliantly white and span for 10,000 kilometres. It's so white, in fact, you may keep reaching down to check if it's snow. When it rains, it transforms into a intense mirror that reflects the sky and snow-capped mountains. 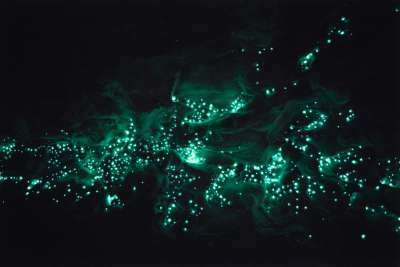 These glowworms are only found in New Zealand and, in the North Island, there are caves alight with them. Clamber into a boat on the Waitomo river and float around what feels like an other-worldly sky full of luminescent stars, albeit with a blueish tinge. Millions of stalactites adorn the walls in pale pinks, browns and whites creating an even more ethereal atmosphere. 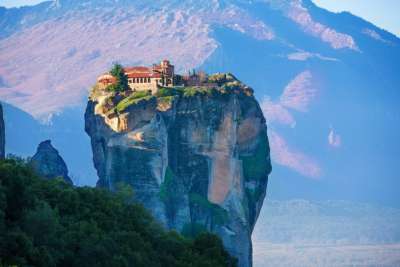 The hint is in the name - Meteora is roughly translated as 'suspended rocks'. As one of the largest and most important complexes of Eastern Orthodox monasteries in Greece, it definitely classes as a man-made wonder. These six monasteries were skillfully carved into natural sandstone rock pillars in central Greece near the Pineios river and Pindus mountains. Back in the day access to the monastery was limited to long ladders lashed together or large nets to pull up both people and goods. Bit of a leap of faith. 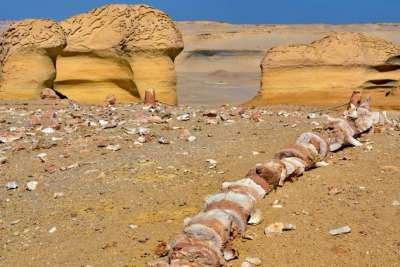 Eschew the normal trails to the Pyramids and the Valley of the Dead (or, you know, go see them afterwards) and head over to the Whale Valley in Egypt. Dozens of fossilised remains of prehistoric ancestors of giant sea mammals have been discovered in the sands of the Egyptian Sahara. Amongst them is an impressive, 65-foot long, 37-million-year-old skeleton of a legged form of whale. Once found, a museum was erected in the middle of the desert and the rest is history, so to speak. 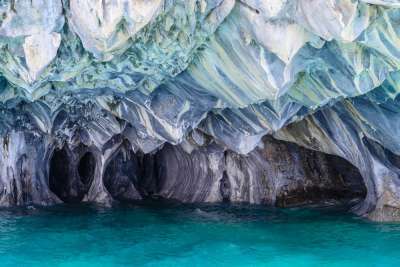 A cave network like no other, the Marble Cathedrals of Chile are astoundingly beautiful. South America's second largest freshwater lake, General Carrera in Patagonia, Chile, is at its epicentre, having carved out the water-filled marble caverns and leaving its mark of swirling patterns and shapes. The pearly, iridescent water reflects everything around it, creating a mesmerising light show. It may be a bit of a journey to get there but these caverns are more than worth it. Fly into Santiago and then drive along the dirt roads 200 miles south to the lake. This vast stupa and temple-strewn plain is 26 square miles of fascinating history, dating back to more than 1,500 years. 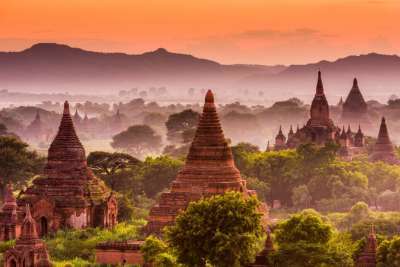 118 miles from Mandalay, the ancient city of Bagan has countless ornately-designed Buddhist temples and pagodas, amounting to over 2,000 in total. Tour however you like, be it a horse cart, bike or car, around this ancient city and feel like you've been transported back in time. Climb to the top of Mount Popa and behold the astounding sunsets Bagan is known for, or explore the area's local art made out of everything from bamboo to vibrantly-coloured cloth. 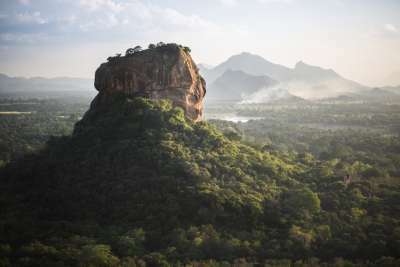 Sigiriya, or Lion's Rock, will make you feel as though you've been allowed to set foot on the set of The Lion King for Simba's inauguration. This rock stands 200 metres above a forested plain, with a series of moats, ramparts and water gardens on either side, the only remnants left of an ancient city. It earned its name thanks to the remaining giant pair of stone lion's paws still guarding the staircase that leads to the summit, which was once occupied by a royal palace. 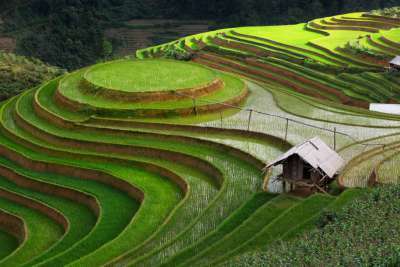 Not just that but this UNESCO World Heritage site boasts, unsurprisingly, stunning views of the landscapes below. 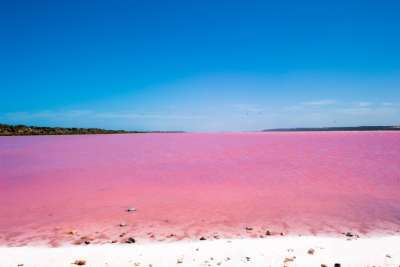 Steps from the blue-hued Southern Ocean in Western Australia lies the bubble-gum coloured Lake Hillier. Scientists can't really explain this spectacle but that hardly matters. This 600-metre wide salt lake is surrounded by lush vegetation, succeeding in making its colour even more vibrant. You can find it on Middle Island, the largest of islands and islets that make up the Recherche Archipelago. The Great Wall of China may be the first thing to come to mind when you think of the many wonders China has to behold but you would be skimming over a vast, varied and breathtakingly beautiful country in the process. 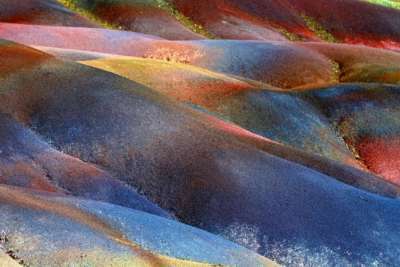 The Rainbow Mountains in Zhangye stands out as a multi-coloured example. Located in China's remote northwest region, the rolling mountains seem to mimic the colours of the rainbow and it even caught the eye of UNESCO - it was named a World Heritage Site in 2009.